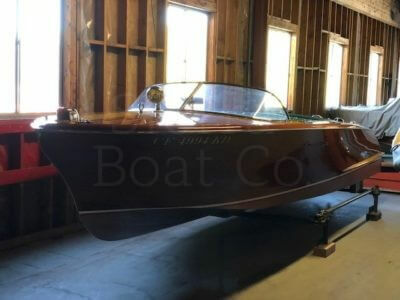 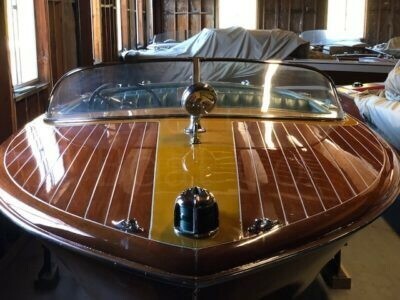 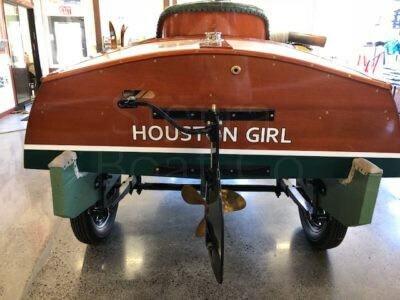 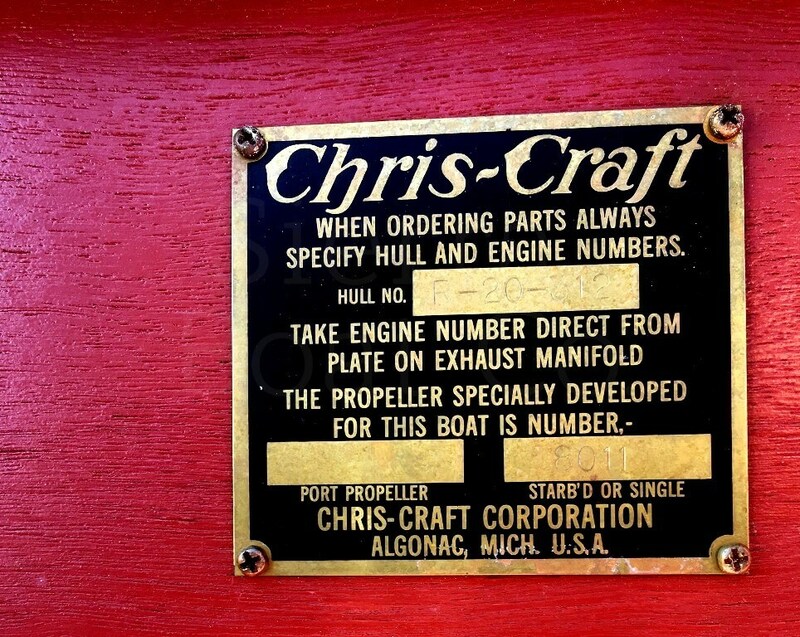 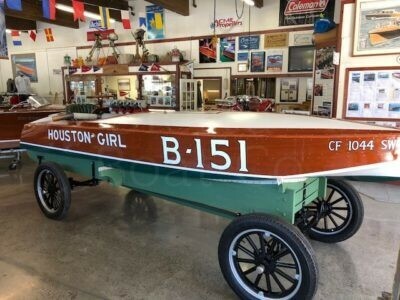 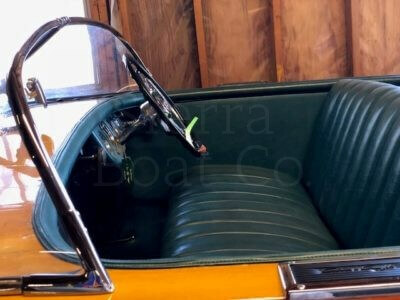 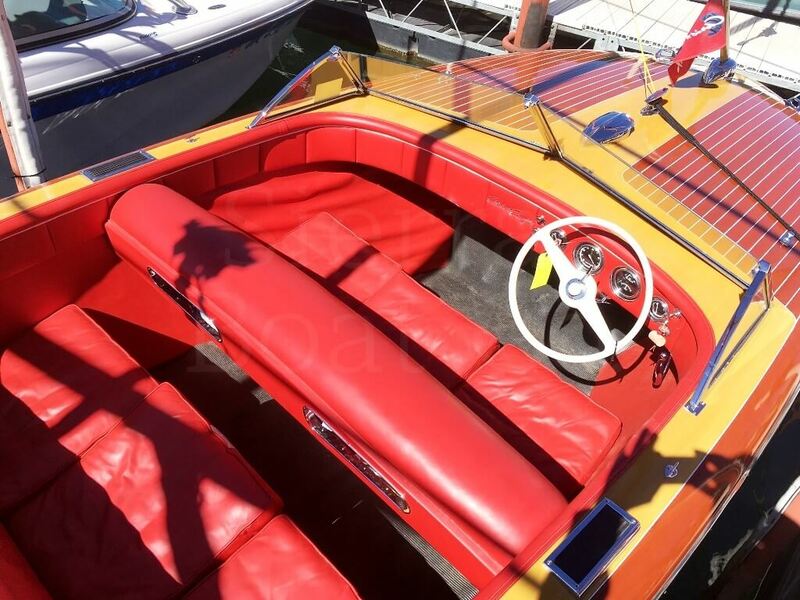 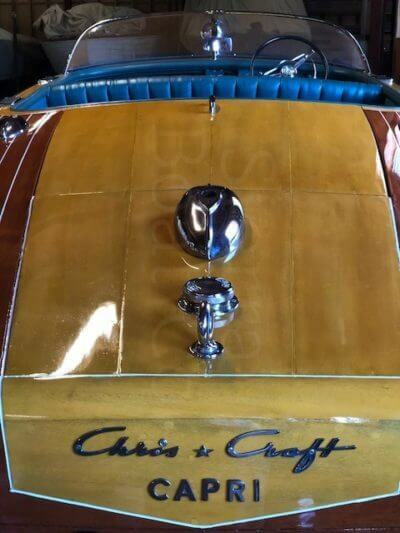 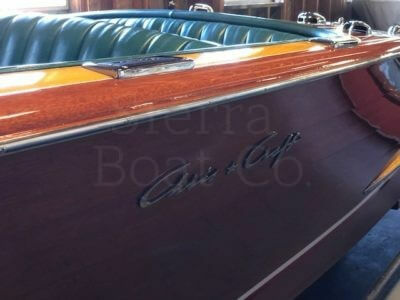 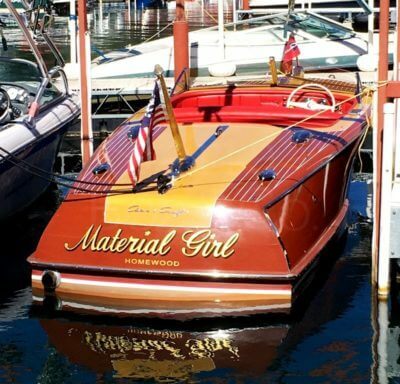 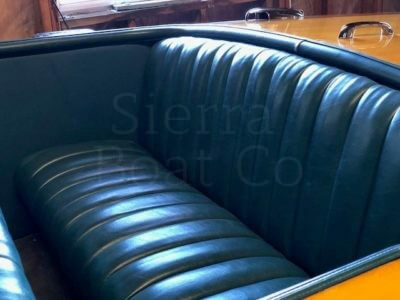 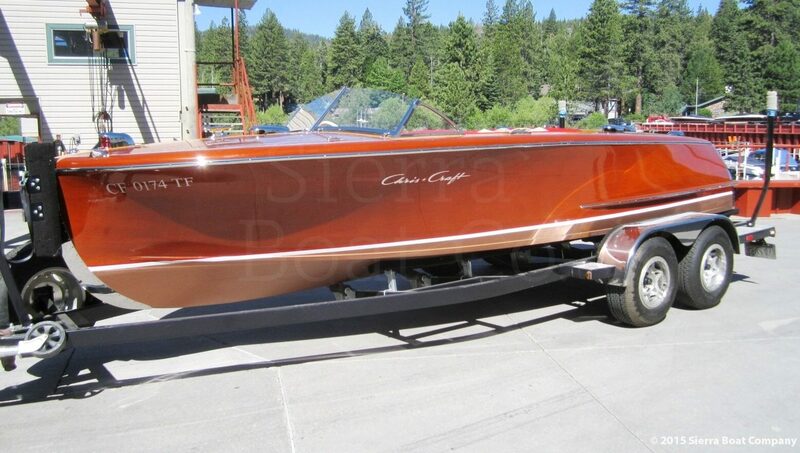 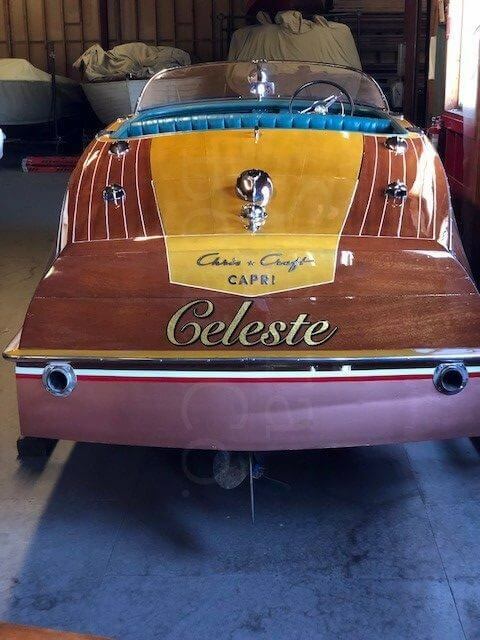 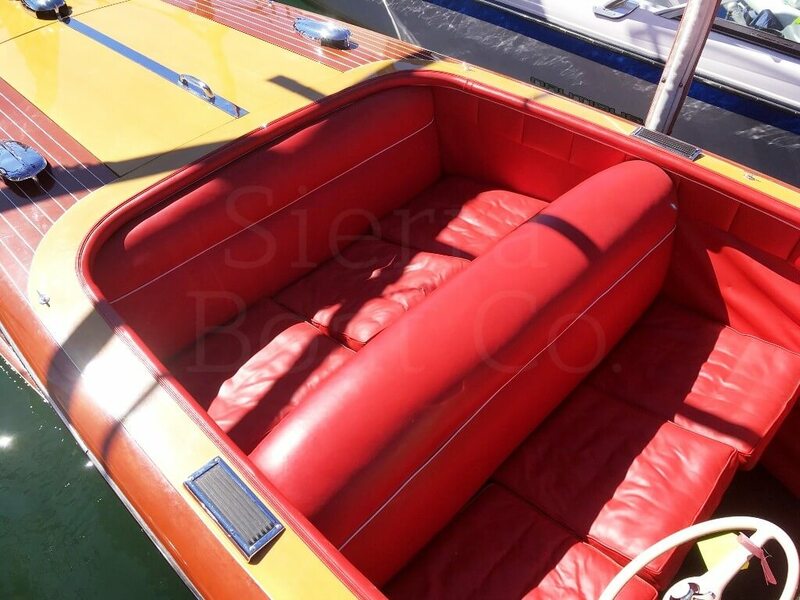 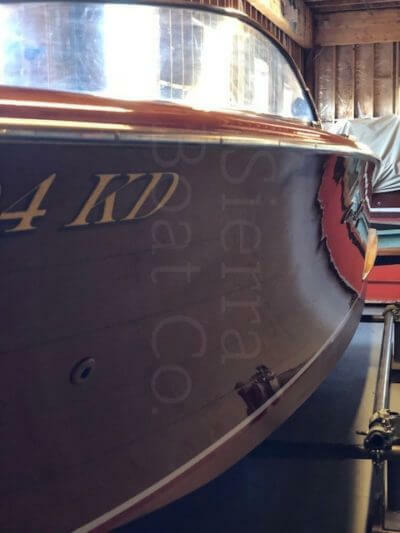 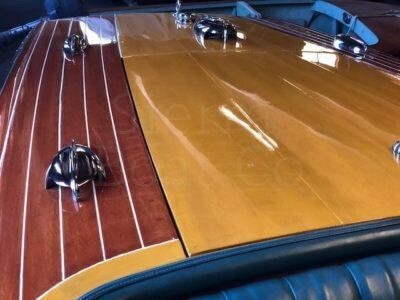 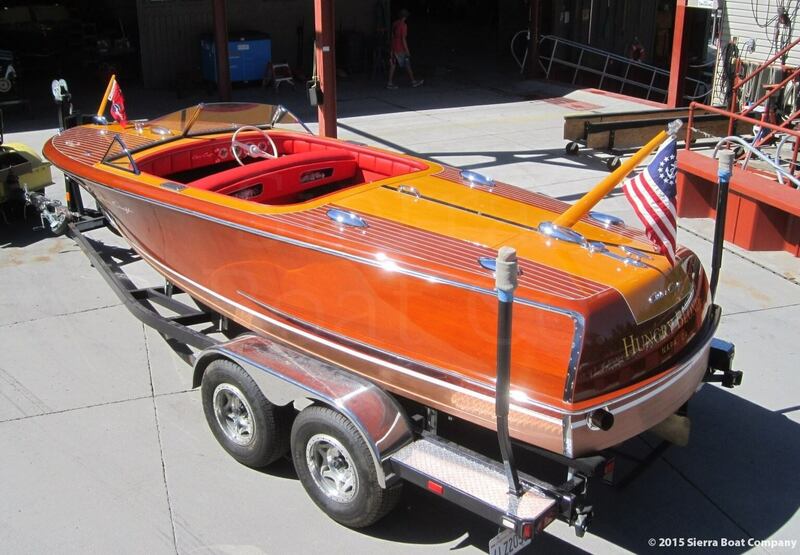 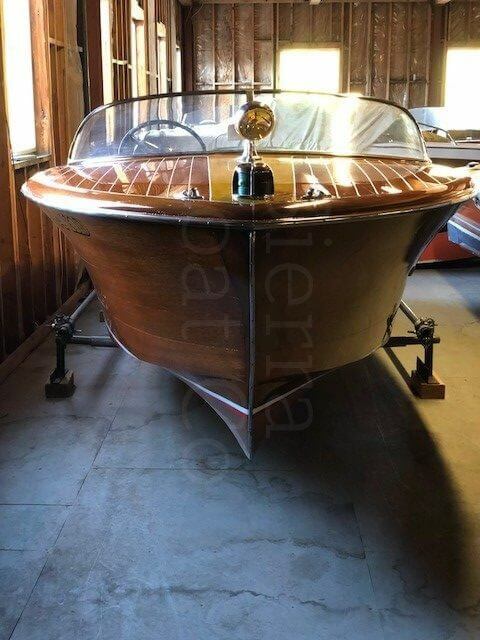 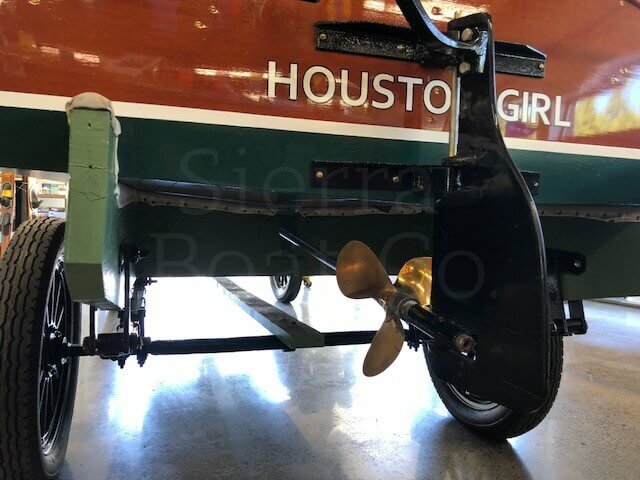 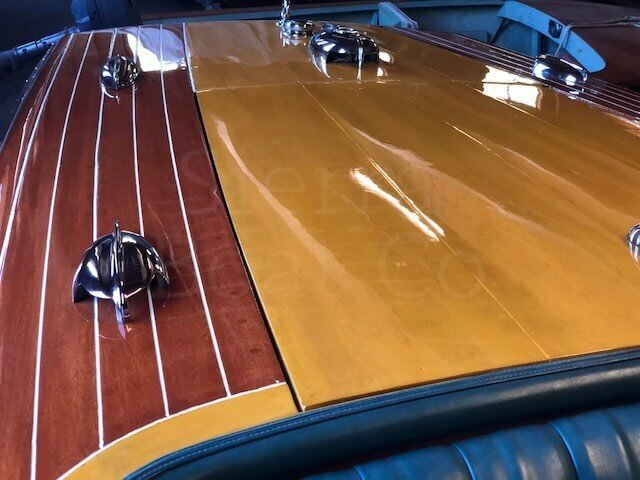 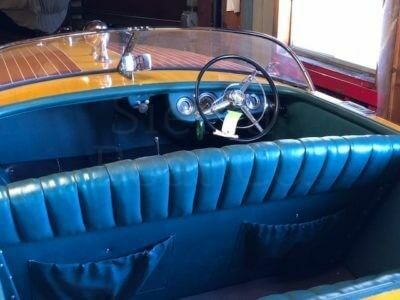 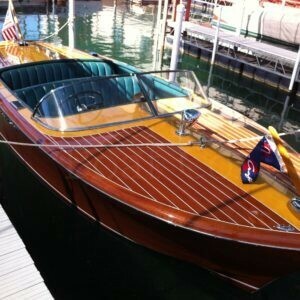 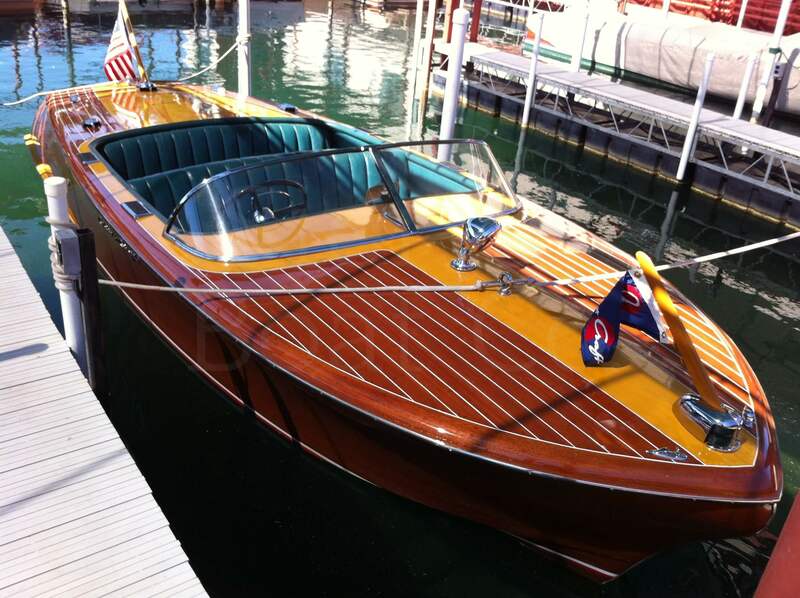 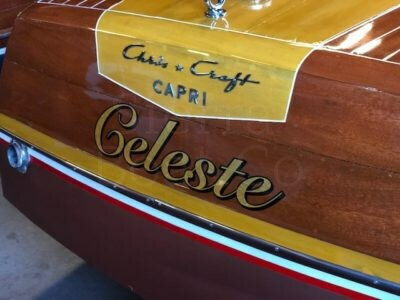 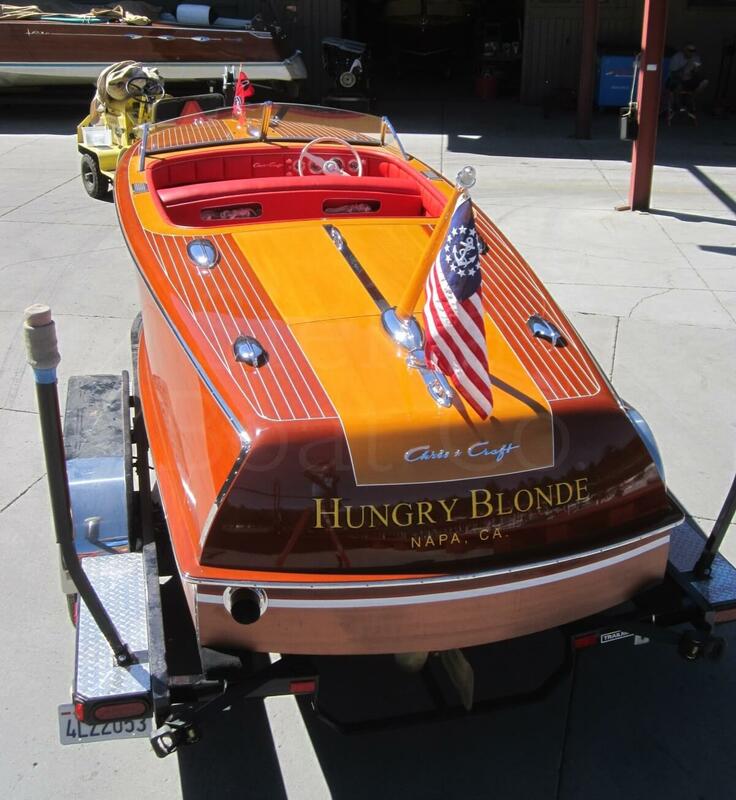 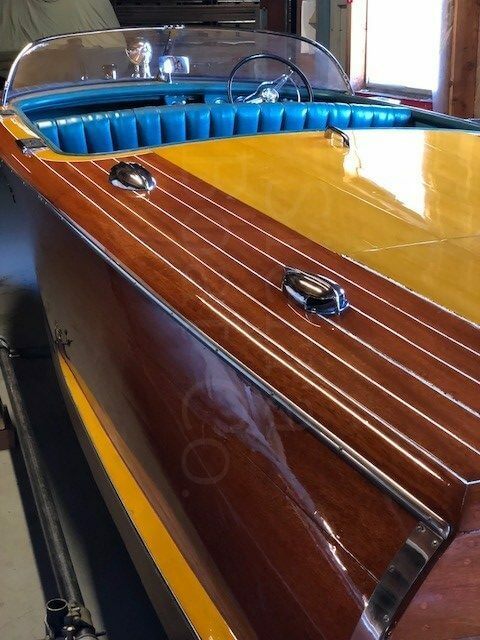 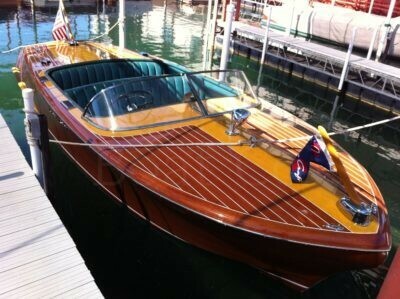 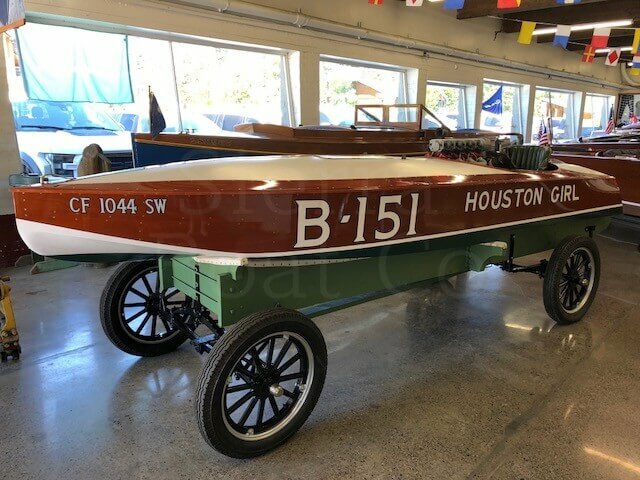 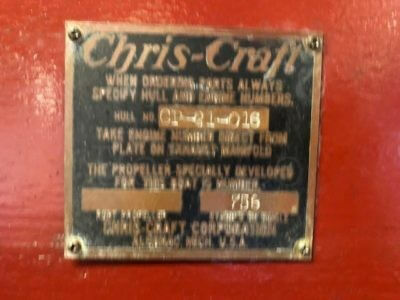 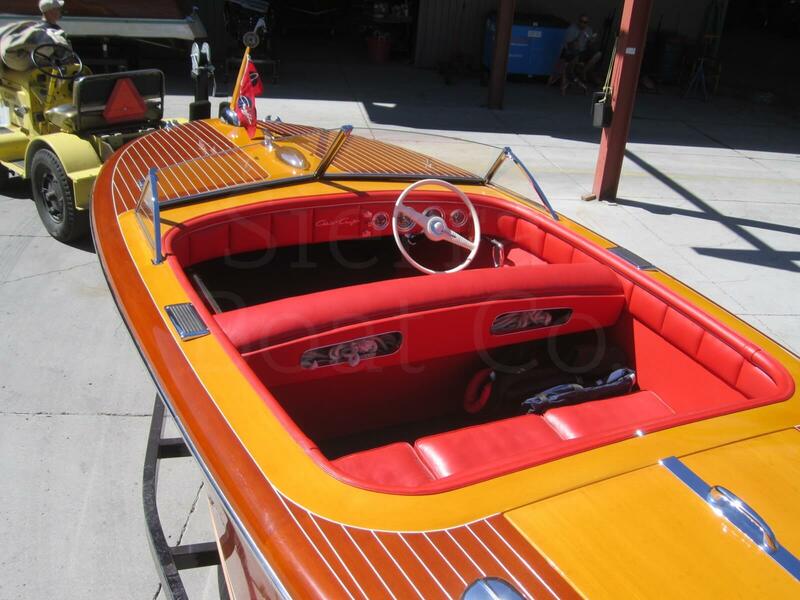 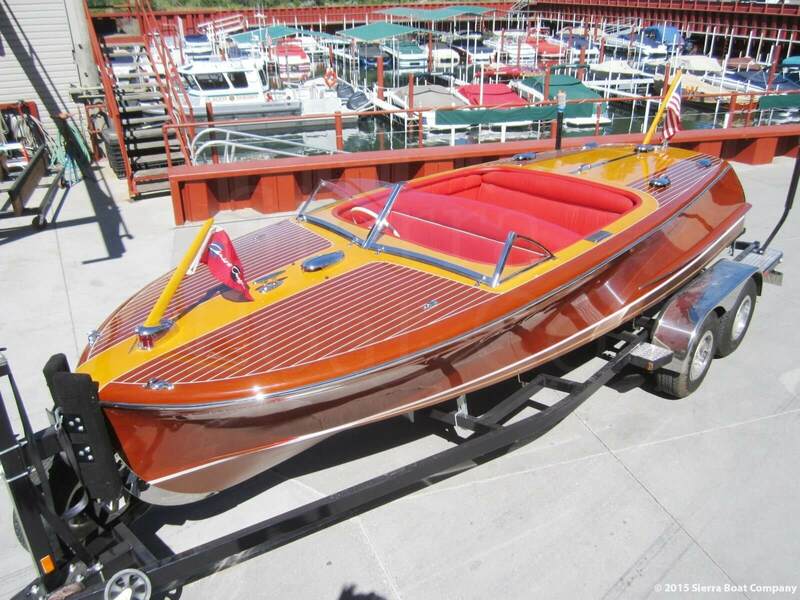 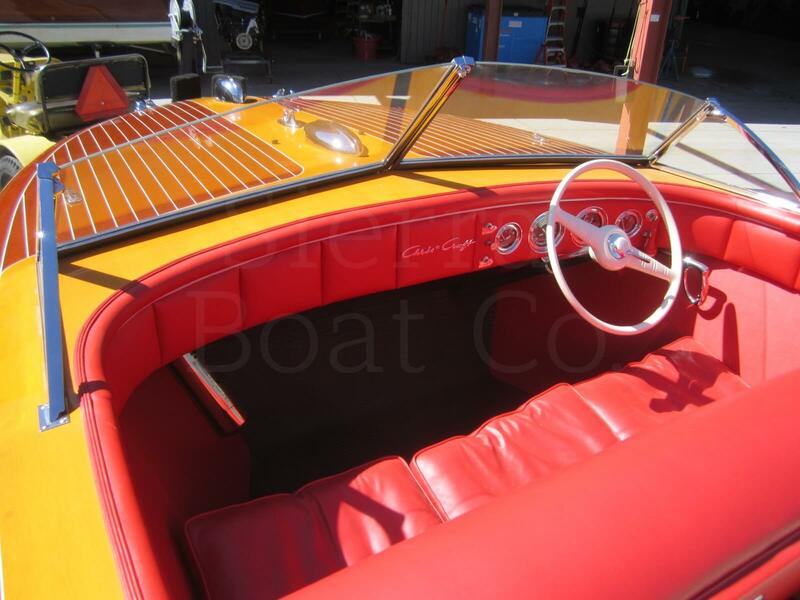 1949 Chris Craft 20ft Custom - SOLD - Sierra Boat Co. 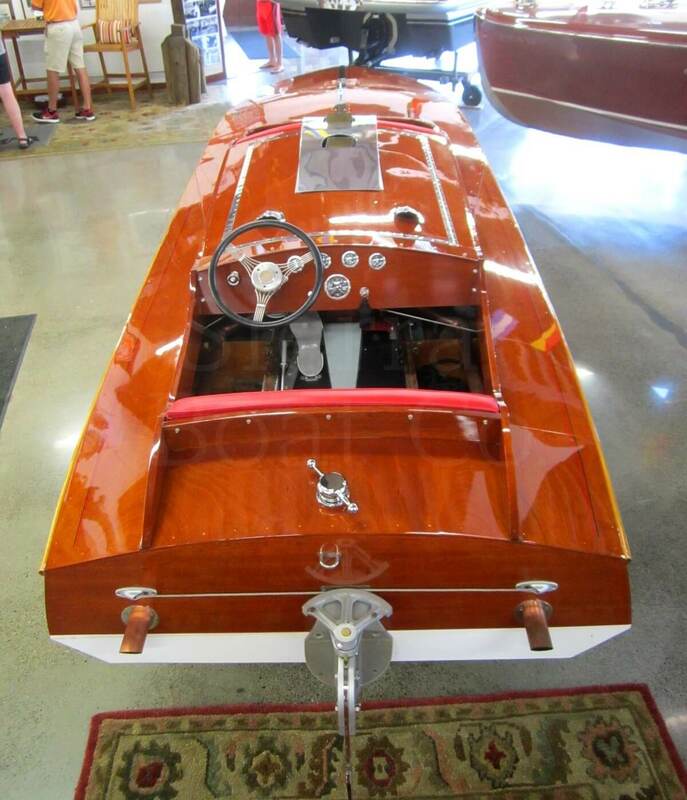 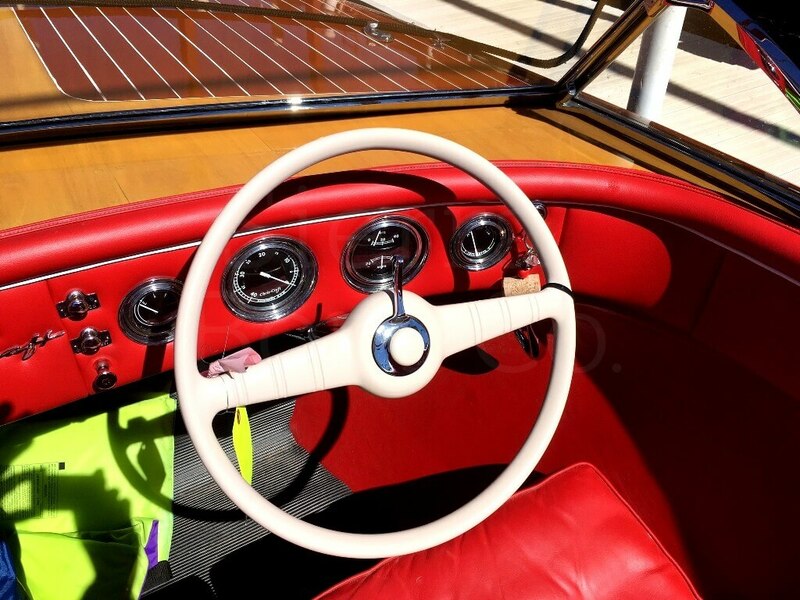 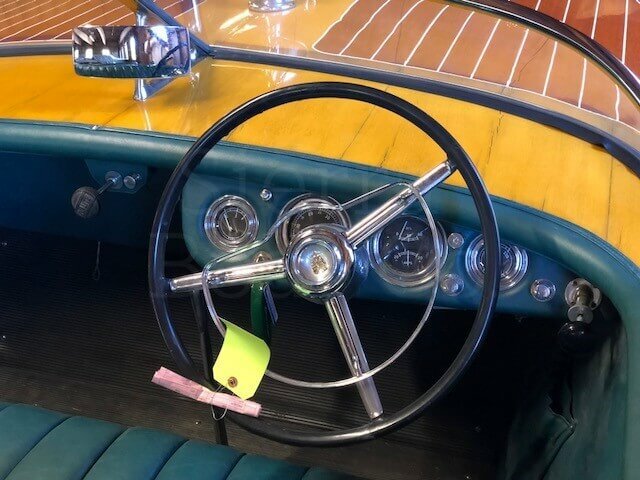 This is a unique 1946 Glazer E Class Service Runabout. 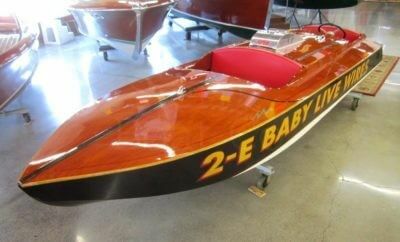 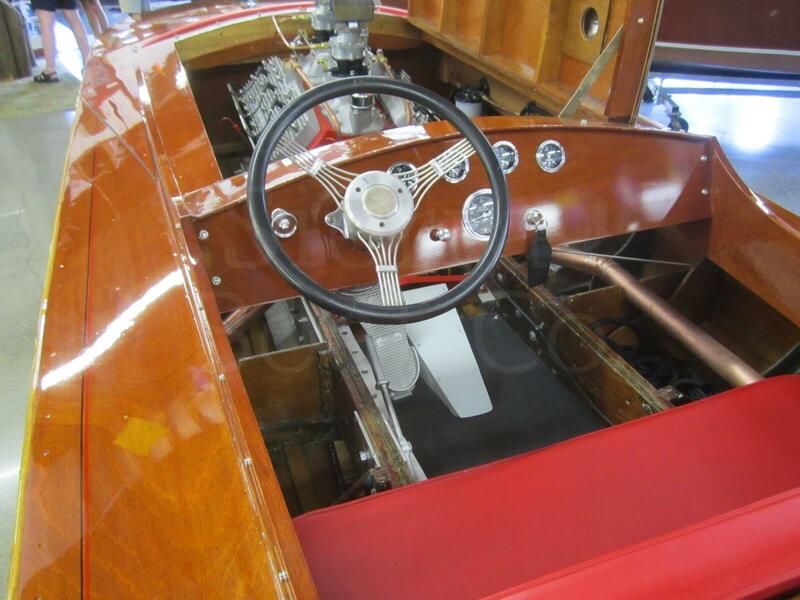 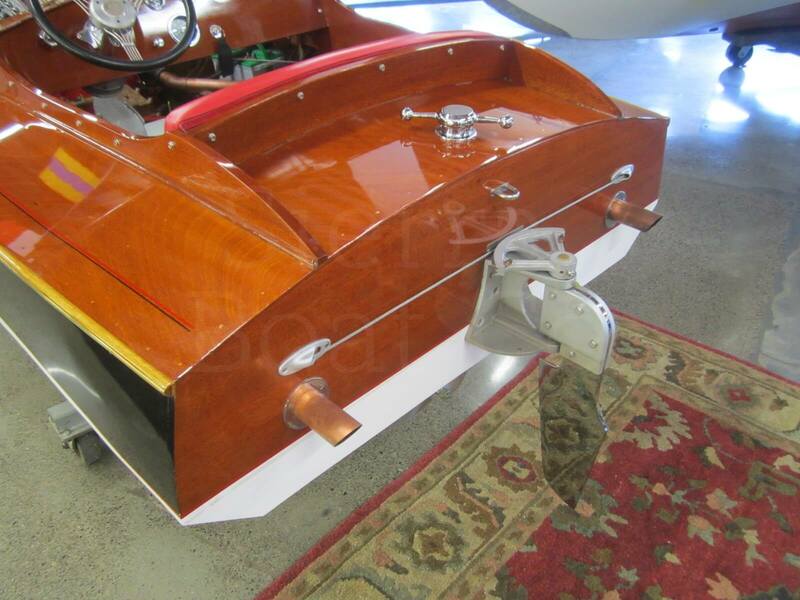 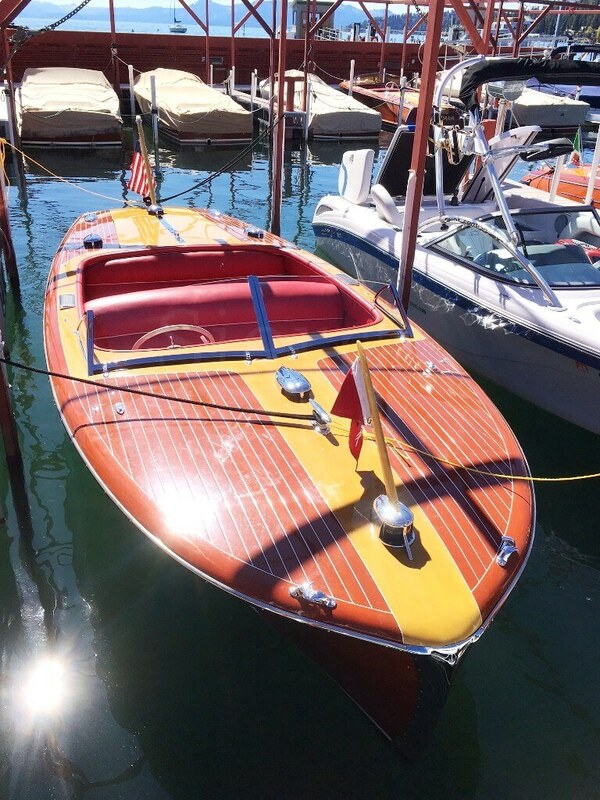 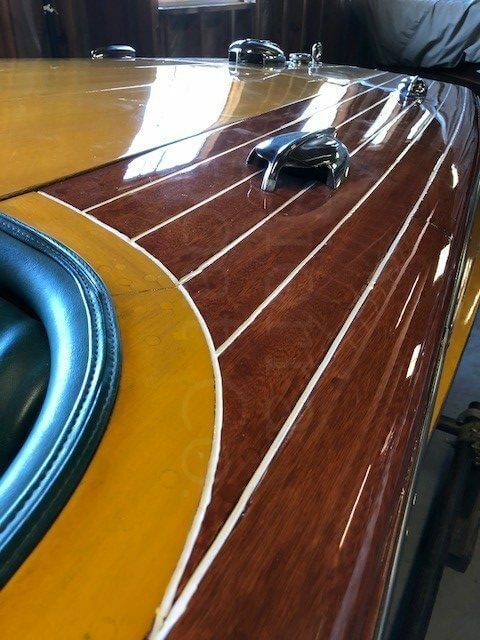 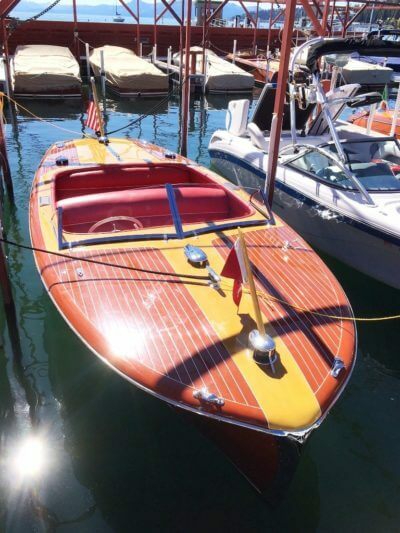 Baby Live Wires was constructed by John (Pops) Glazer, who was a well-respected builder of small racing boats. Baby Live Wires was raced in its earlier years in Buffalo, NY. 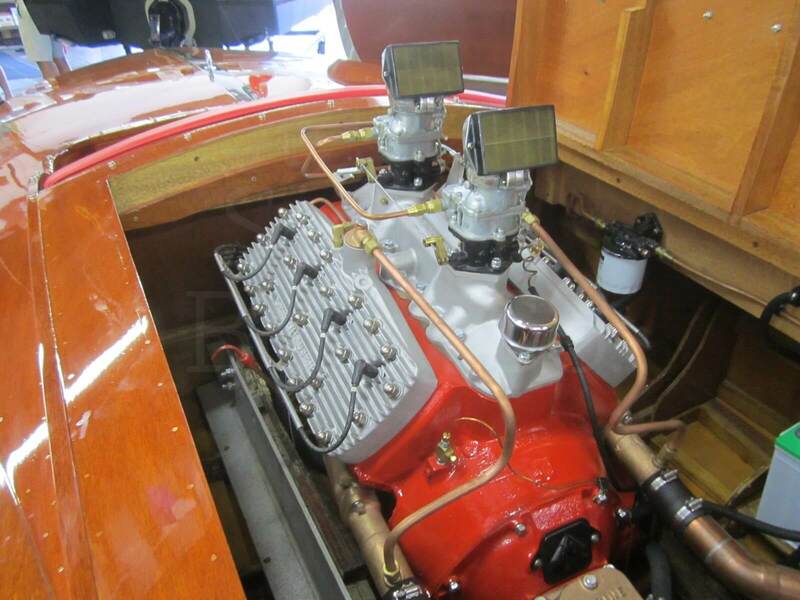 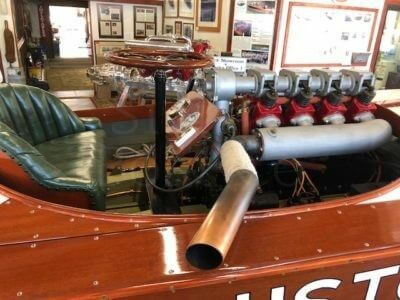 The engine features Offenhauser aluminum heads and an Offy intake with duel Stromberg 97’s. It also has a Mallory Unilite Electronic Distributor. 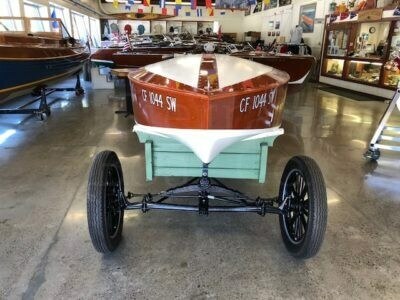 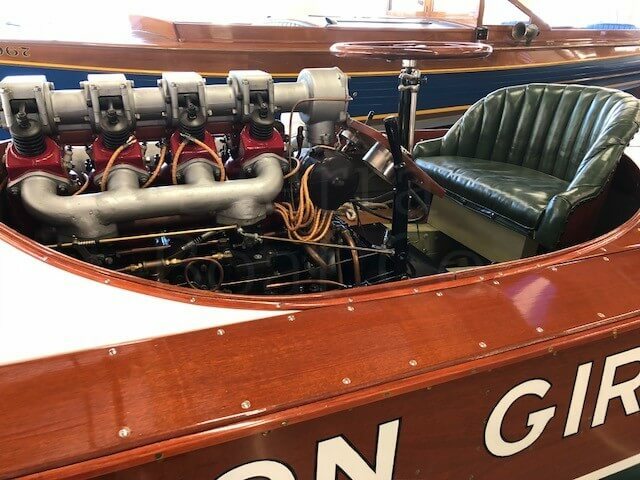 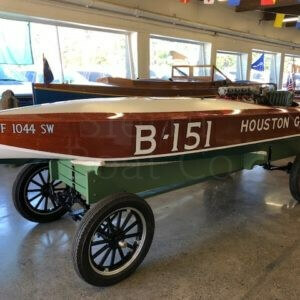 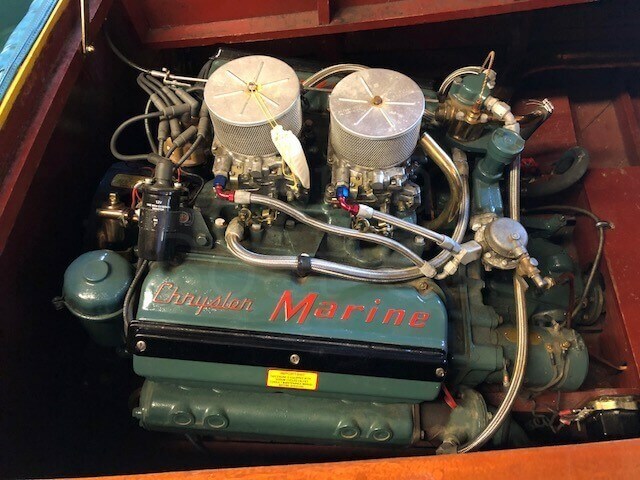 It is ready for vintage racing or the show boat circuit. 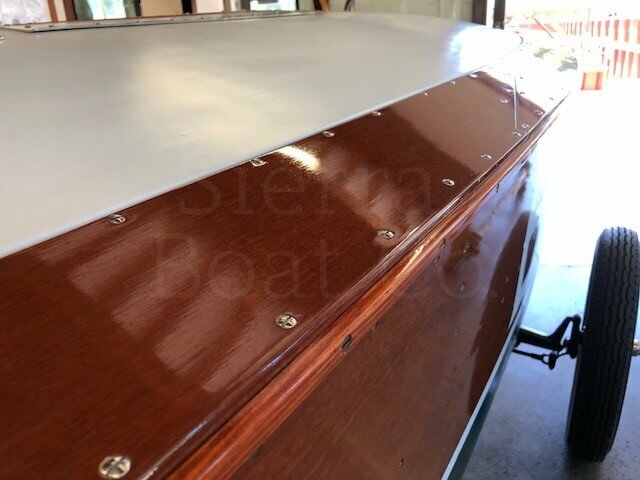 In the Spring of 2016, Sierra Boat did extensive mechanical work to Baby Live Wires. 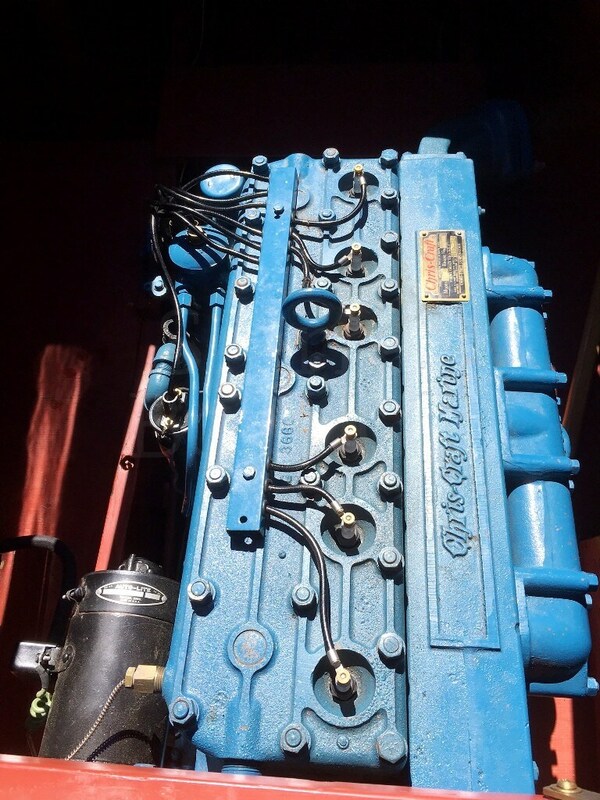 The engine was removed, disassembled and resealed. 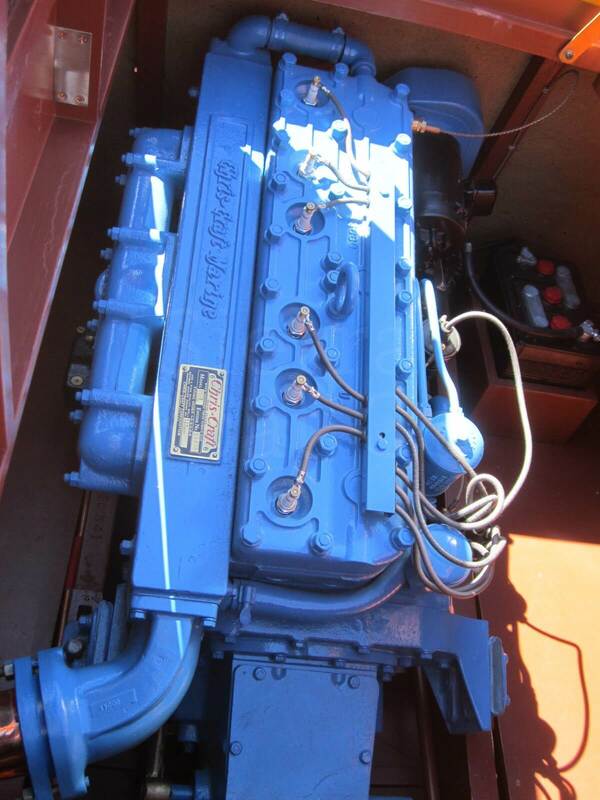 Heads were removed to check for straightness and cylinders were inspected, all looked brand new. 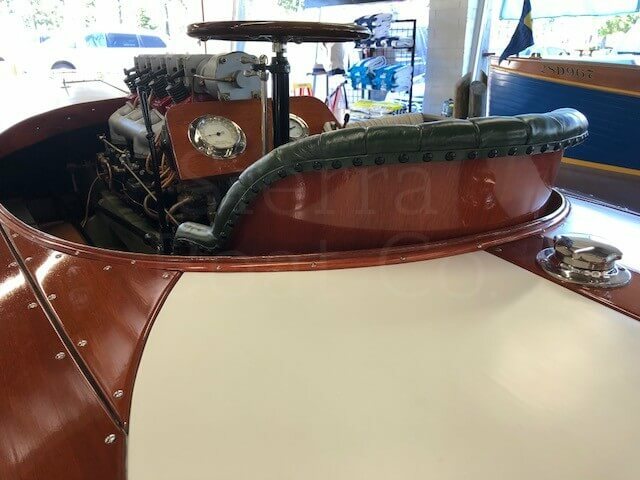 New oil pan gasket, intake, copper fuel line and new gauges were installed. Both carbs were rebuilt. 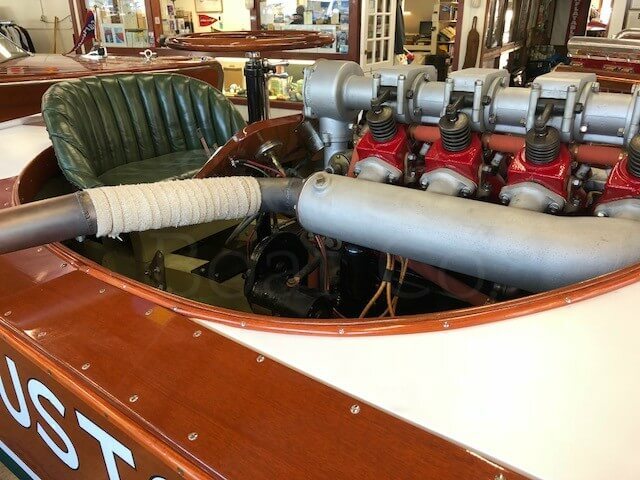 The bottom end of the motor and the reverse gear was disassembled and inspected. 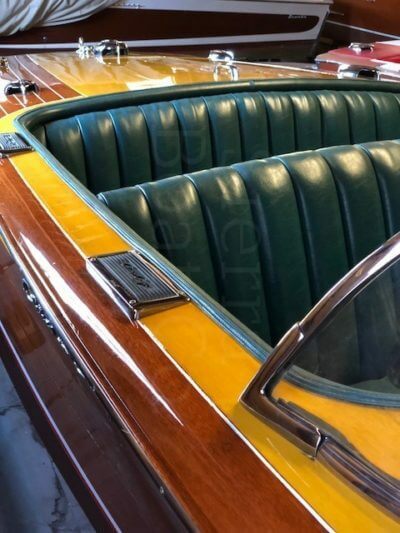 The old electrical wiring was removed and replaced with new wiring. Everything was reassembled, repainted and done at show quality detail. 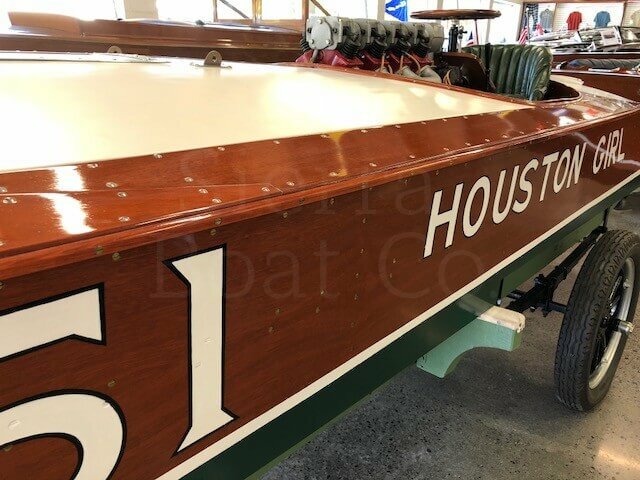 A fresh coat of varnish went on the deck and hull sides and the sign painting was touched up. 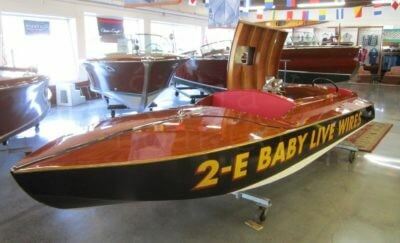 Baby Live Wires is ready for a showroom or a race!